As Earth Day marks its 45th year in support of environmental protection, it’s a good time for members and retirees to think about their energy usage, and its possible added cost during retirement. When you’re working, you may be more likely to turn off certain appliances or set your thermostat to a lower temperature while you’re out of the house. You do this to save energy and keep your utility costs low. But, once you’ve retired, the time once spent at the office may now be spent primarily at home, resulting in an additional 40 hours of energy use a week as you use appliances, heating/cooling systems, and more. With some careful planning and changes in behavior, you can make sure your utility costs are manageable and fit your post-retirement budget. The DEC has more tips you can use to make environmentally-responsible choices in your daily life. You can also visit the New York State Energy Research and Development Authority (NYSERDA) for information on making your home energy efficient. Purchasing 25 percent of the energy we use from renewable sources. Printing publications on paper that is at least 30 percent post-consumer waste (PCW). Publishing newsletters that are now 100 percent PCW, and moving towards 100 percent PCW on all of our printed publications. Moving toward using soy-based inks, rather than petroleum-based. Implementing a scanning system that has markedly reduced our paper files. Content last revised April 22, 2015. 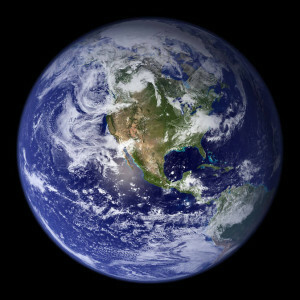 This entry was posted in General News, Members, Retirees and tagged Earth Day, ERS, members, NYSLRS, NYSLRS Retirees, PFRS, Saving Energy, tips on April 22, 2015 by NYSLRS.